I’m loosing my mind chasing down this gremlin! 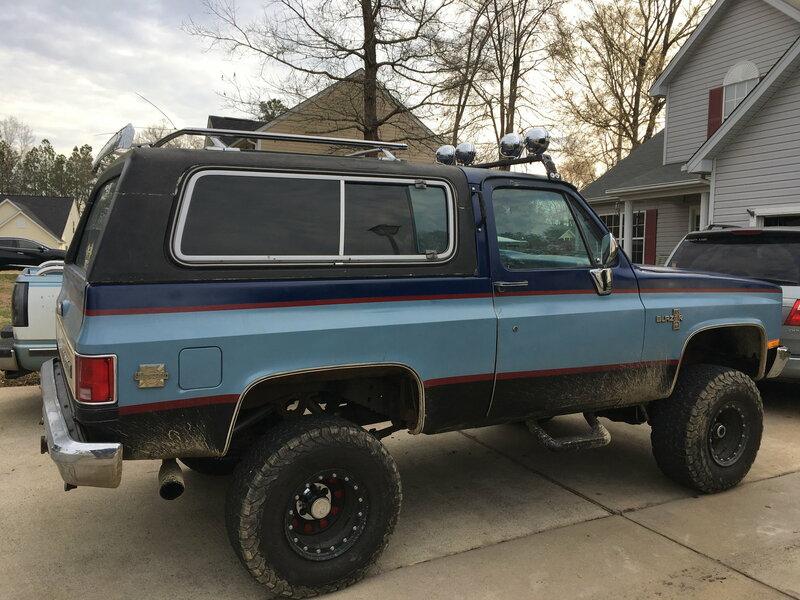 1985 k5 with a 305. I’m spent over $10k restoring this beast in parts and my free labor. It has 15” x33” tires 90% street and 10% off-road. New front everything but the axle itself. The vibration happens when slowing or starting with or without the brakes. It does seem to lessen if I take my foot off the gas. Also, maybe have the drive shaft itself checked for balance? New Moog and the front shaft is new. Maybe a silly thought on my end but maybe balance and rotate the tires? Dumb, right I had a car many years ago that kinda did what your truck is doing but it was like from 10 to 20 mph... After a month of a bunch of curse words and replacing parts I finally rotated and balanced the stupid tires and it never acted up the rest of the time I owned the goofy thing lol! yeah my son works at a local tire shop/garage and has done that a few times. Everyone there has no idea or thinks “that model is famous for that”. I drove it without a front drive shaft for a week and it still did it. The only time it doesn’t do it is when it’s up on 4 jack stands. Might need to bite the bullet and take it to a local 4x4 Specialty shop. I’m no higly trained auto guy but something in what you state is interesting to me. No vibration when on jack stands. Second statement, seems to lessen when gas off slowing (coasting). When on jack stands I assume your under frame so suspension is unloaded and obviously no pressure on tires. When coasting, weight is neutral for the most part. Sounds like a wheel bearing with some play in it or the axel race the bearing rides on giving it the chatter vibration your feeling. Only say this because no vibration on jack stands, rolling resistance of tire changes at speed, neutral weight seems to lesson effect. You mention still original axel, how did the bearing race look? Just my take, dad had a 76 Suburban do that and ended up being the right inside bearing and was told race also worn. He said no to axle and just replaced bearing, was enough to get rid of vibration. Worth a check maybe seeing axel is original? I put new bearings and rotors on it so it’s very possible I could’ve left something loose. Very easy to check, thanks. Quick Reply: Vibration In the front 5-15 mph.